The geography of his new life is marked with discovery and reinvention, but what he really seeks is to learn to live beautifully, to find a place and a person, to call home. Scott Stavrou is from Las Vegas and a graduate of Georgetown University. He has lived and worked as a writer in San Francisco, Prague, and Venice. He presently lives on a small Greek island. He has written fiction and non-fiction for numerous publications in America and Europe and was awarded a PEN International Hemingway prize for short fiction. Losing Venice is his second book. 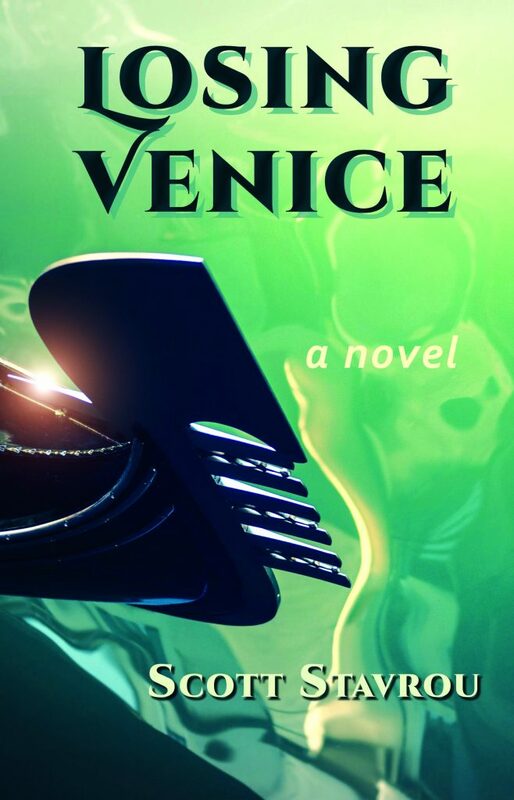 …this remarkable, beautifully written novel is packed with excitement and absurdity, longing and love, but its triumph is its narrative… Losing Venice is a wonderful book. A damned wonderful book. If you’ve ever wondered why people still write novels, reading Stavrou’s, Losing Venice, might answer your question. This funny, poignant account of failure that turns to success is beautiful. It captures a moment and place that though in the recent past, seems as distant as Hemingway’s Paris and as important. A reminder of what the business of literature, of living is. All lovers of the art of writing and romance should read it. Losing Venice is such beautifully written novel that I didn’t want it to end. It’s an engaging story of self-discovery and finding love that took me on adventures in Venice, Prague, and the Greek Island of Hydra. The protagonist’s clever and insightful reflections on life, identity, and love are evocative and peppered with humor, literary references, and moving descriptions. I wholeheartedly recommend Losing Venice and look forward to Scott Stavrou’s next novel.